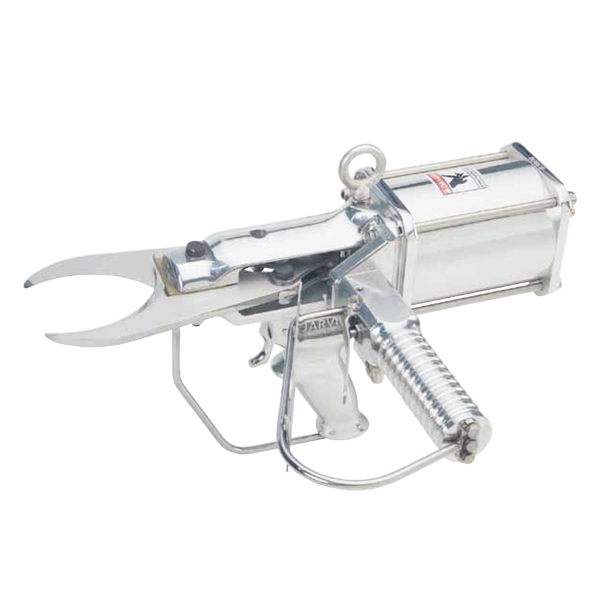 The Jarvis Model TWC-1 – pneumatically operated tail cutter for beef and hogs. • Removes beef and hog tails quickly and efficiently. • One piece clevis for better hygiene. • All stainless steel blades.